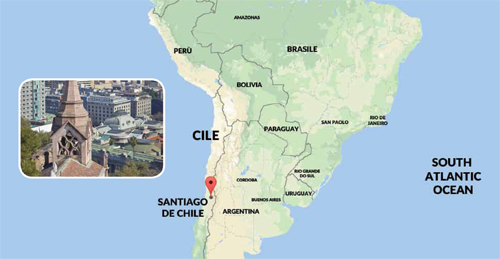 With 7,5million inhabitants, Santiago is the country’s capital city, and is the most important urban area of Chile. The metropolitan area of the city has been called Gran Santiago, and is the capital of the Metropolitan Region of Santiago. Santiago is the seventh most populated city of South America, and the 35th largest metropolitan area in the world. Chile’s capital is home to many of the country’s government (except for the National Congress, which is in Valparaiso), financial, commercial and cultural offices, and is considered as the third city of Latin America with regards to the quality of life, with an index of human development of more than 0.920, and per capita GDP of USD 18.465. Chile’s political, institutional and financial scenario is stable thanks to its openness to international markets, and with a high degree of efficiency and a high level of investment protection. The country’s financial system, in particular with regards to banking, is developed and in line with international standards. Thanks to the high number of commercial agreements (26 agreements in force with 64 markets, making up 86.3% of the total GDP), Chile can be considered as a ‘platform’ country from which all important Latin American countries can be reached. Chile’s economy is strongly oriented towards international markets, with considerable commercial. The country has finalized the highest number of trade facilitations at worldwide level (75% of export-import takes place using preferential rates). There is considerable openness towards international investments, with foreign investors having the same opportunities and obligations as domestic investors, with operations permitted in almost all sectors. Chile is part of OMC, APEC, OMPI; it is an associated member of MERCOSUR and the Comunità Andina. The country has agreements regarding the protection of investments with 20 European countries. 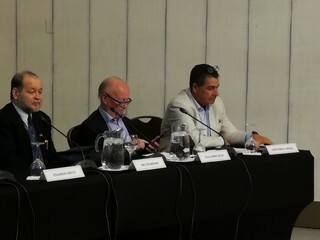 The reduction of prices for raw materials on international markets, including copper, of which Chile is the first manufacturer (with about 30% of the world’s reserves), has had an important effect on the country’s economy, which has not, however, damaged Chile’s GDP, which has 2.1% annual growth. Take part in CHILE GLASS using our lightweight formula which avoids a heavy commitment in time or money for stand set-up and offers defined, transparent pricing from the outset. 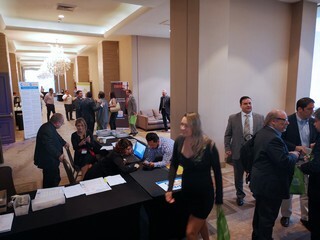 Shortly after the event, all exhibitors and sponsors at Chile Glass 2018 will receive the complete list of registered visitors in an excel file with their company data (see visiting &Rrightarrow; registration). 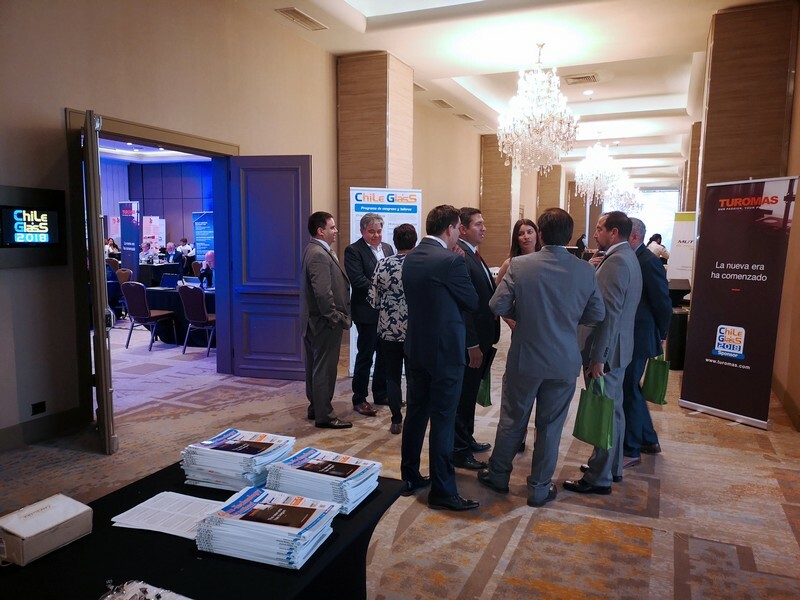 Chile Glass 2018 offers a wide range of sponsorship opportunities to enhance company's presence: visitor lanyards and badges, carrier bags, newsletters, posters and banners, event catalogue, lunch/coffee areas, etc. for all registered professional visitors. The ticket is valid for 1 person for both days. The on line pre-registration will be open until 23:59, November 20, 2018.
by filling out a form at the event reception. 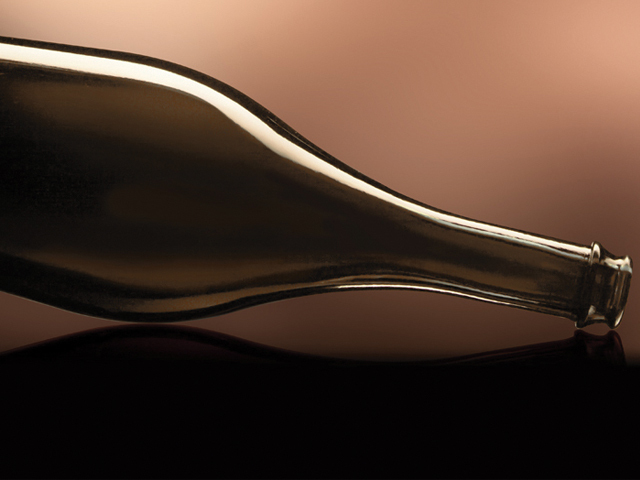 In the last decades the consumption of glass in Chile has had an extremely important increase. Not only in the amount of tons per capita, but also in the importance it has in the architectural solutions derived from the benefits of this material and the enormous qualities that have been integrated. 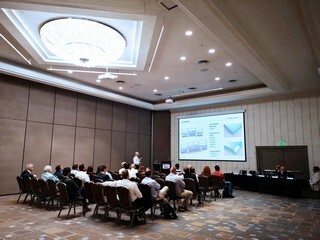 Speaking today of Smart thermopanels, which combine energy savings with acoustic efficiency, safety, transparency and all this in large glass surfaces, is a reality not imagined just a few decades ago. Talking about scales entirely of glass, large surfaces of glass floors and all this with safety and beauty, are today possible thanks to the structural conditions that present glasses today. This is why it is possible at this moment to carry out this Fair in Chile, unthinkable perhaps in the near past. 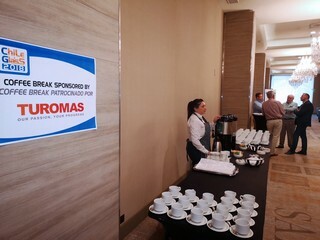 Now we will have the opportunity to talk about the reality of glass in Chile today and what we expect for the coming years. From the sixteenth century to the present the physiognomy of buildings in our country has had changes, both in materials and in building techniques. The telluric events have forced the accelerated development, to respond to the structural security of our buildings. Following the major earthquakes, there has been progress in improving the quality of our buildings. 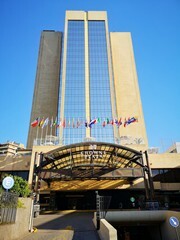 During the twentieth century, the use of glass in buildings has increased markedly, with progressively wider openings. Simultaneously the relevant incorporation of steel and particularly reinforced concrete, which recently completed a century of having been invented. This material allowed, in an accelerated way, the densification of the cities to take place, with buildings in height. This development of high-rise buildings, especially those destined for offices and commerce, has increasingly incorporated glass, which has changed the expression of Architecture. This material has proven to be reliable in the face of large-scale seismic events, such as the one that occurred on February 27, 2010. 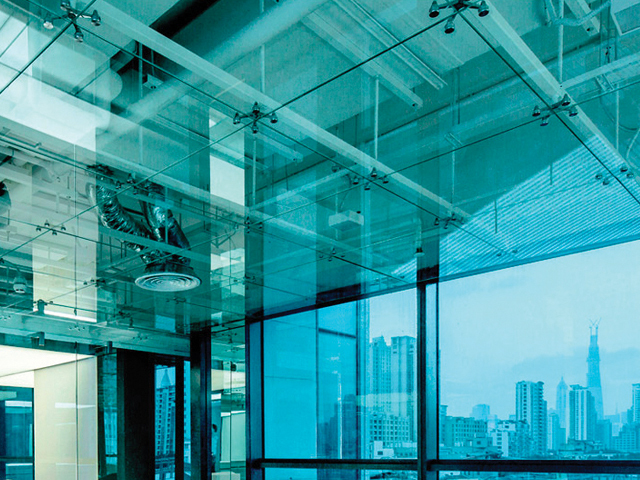 At the same time, the glass industry has been developing a permanent technological development process, responding to the different requirements that architecture demands: thermical and acoustic insulation, safety of tempered glass, the incorporation of reinforcing materials. The technological evolution of glass has allowed to change the architectural language of buildings, improving quality, safety and aesthetics, in benefit of the urban landscape. In a highly competitive market, it is crucial to optimise production in order to respond quickly and efficiently to the new requirements and high demands for quality and delivery deadlines. The glass storage, loading and cutting area becomes more than ever the production core and the lung for all other processes. 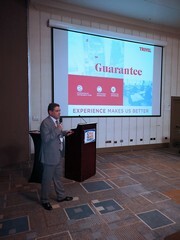 In order to guarantee the best performance and an unprecedented scalability and adaptability, TUROMAS has redesigned from scratch the automatic glass storage and loading machines, offering a working capacity up to 300% higher, optimizing the use of space and allowing workflows so far inconceivable both for very reduced spaces and for the largest processors. The new era for smart storage has come. Time, space and quality are three crucial factors that mark the progress of our industry. Our TOPDRILL line with its automated vertical drilling centers fulfill the purpose. The complexity that the industrial engineers encounter while processing Architectonic glass (Tempered, Laminated, IG and the different varieties of products and the different combinations of those glasses) is that the behavior is nothing like the series production of a product. The production is “made to order” (specially made according to a customer\'s specifications) with endless possibilities and combinations. One order that has to be delivered “just in time” all together could have multiple work routes on the shop floor with different lead times each work route, different sizes, weight, depending up on the characteristics of each product in the same order. You need to understand the behavior of production to be able to know how to balance the capacity on the different work cells (machines). You need to understand your products, your machines, your “lay-out”, plus understanding the demand of products and the behavior of that demand, which by the way is completely variable when you are talking about Architectonic glass. The capacity in your factory depends 100% on the variable demand. Once you understand how does your capacity is impacted from your demand of products, you will be able to increase the efficiency of your machines and you will be able to maximize the ROI of those machines. TRIVEL is the registered trademark of INDUSTRIAS GALTÉS, S.A. and leader in research, development and manufacture of fittings, accessories and systems for projects with flat glass. 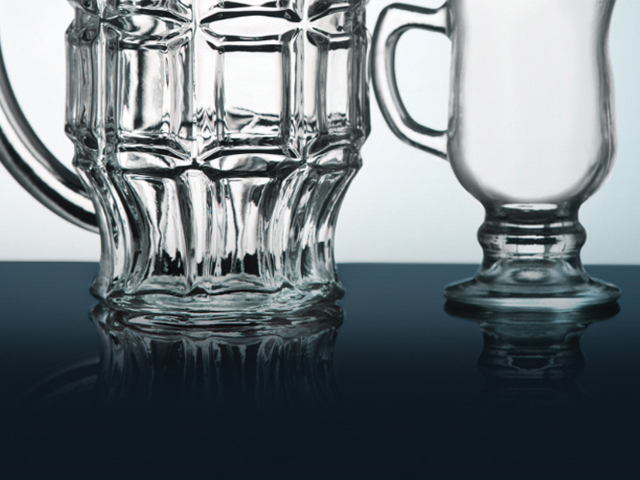 For 75 years, TRIVEL fittings and accessories have been recognized as the maximum guarantee and reliability to execute glass projects. To hold, support, secure glass panels and move heavy doors is our specialty. Our R & D department is implementing our best experience of mechanical engineering with advanced software to exceed the growing market requirements. 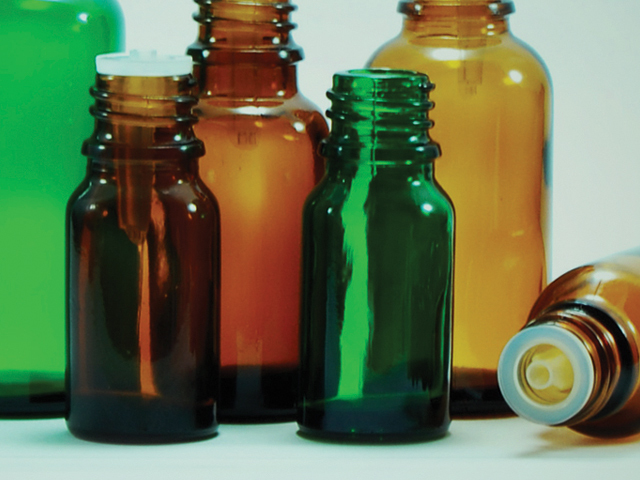 TRIVEL products are entirely manufactured in our facilities. A consolidated industry experience with the best practices and knowledge that allow an immediate response for standard products. We also assemble components of complex systems for fixing or opening under strict quality controls. Our technical resources and the human team of INDUSTRIAS GALTÉS, S.A. are the highest professional reference in the sector. How to eliminate your glass lamination problems? 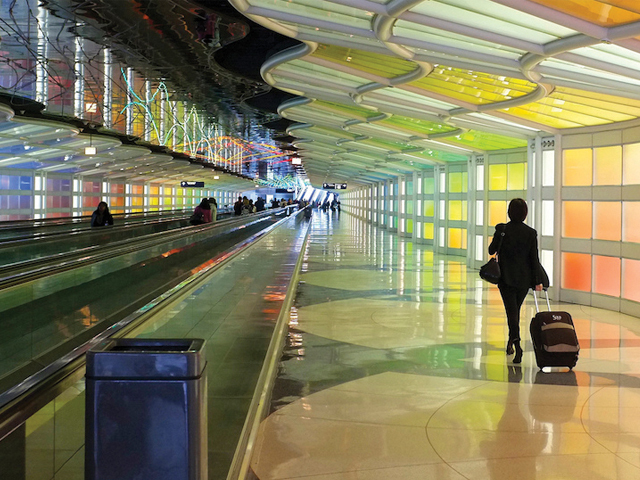 In a world of architectural opportunities, laminated and tempered glass is a great opportunity to grow, but how to solve the problems hidden in this delicate operation? In this competitive market, where the importance is being given to increasing efficiency, maintaining constant quality, reducing costs, overhead costs and the daily difficulties of work teams; the shift towards automation process is accelerating very quickly. The current market trend shows a shift towards automation of all industrialized production processes. The automation for manufacturing IG units with Quanex spacer is complete, from the loading of the glass sheets, assembly to the output of the finished product. The Quanex Super Spacer product line has more than 30 years of proven operation in the market and the fact that it can be a fully automated production process makes it the ideal choice to maximize production efficiency and maintain the highest standards of quality production. Tecoglas and their sister company KTG Engineering have a wealth of experience in electrically boosting container and fibre furnaces. 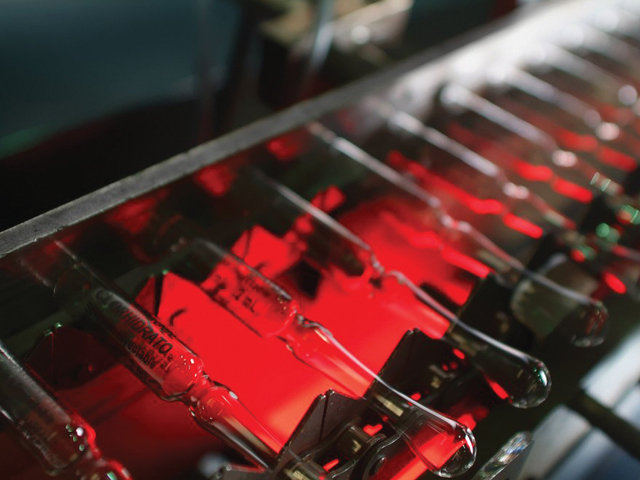 Tecoglas offer boost systems for both hotspot and under batch blanket as well as for distributors and forehearths using equipment manufactured by KTG Engineering, a world renowned supplier of electrode holders to some of the major international glass manufacturers. All bottom boost designs are verified by computational fluid dynamic and physical modelling and the models validated by operational data once commissioned. This presentation covers some of the fundamental principles of the design and examines the benefits of a bottom boost installation with regard to increased flexibility and improved melting/refining. AFRON was founded in the 1980 in Madrid. Today it has over 10 subsidiaries and one of these is located in Santiago de Chile. AFRON offer sales, rent & technical services about lift platforms, specialized in novel machines to handle and transport glass. 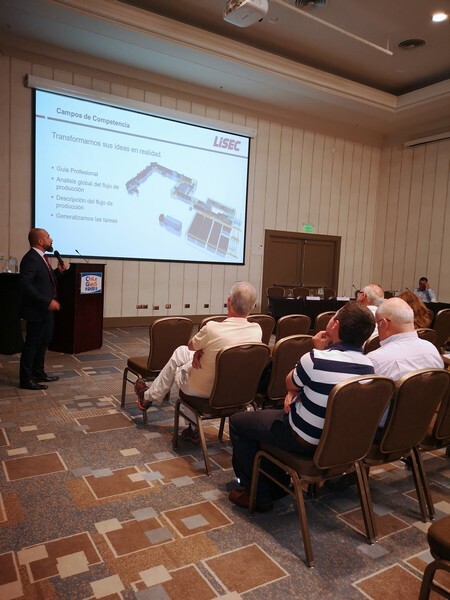 If you are not sure about which is the platform you have to use for a building with a height of 22 metres or which is the correct model of mini-crane to lift 8 tons, you should attend this speech. Established in 1988 in Brazil, AGMAQ is one of the biggest companies in Latin America, specialized in the manufacturing of float glass machinery and solutions to glass market for more than 15 countries. Our industrial plant is modern, technological and of top notch quality. 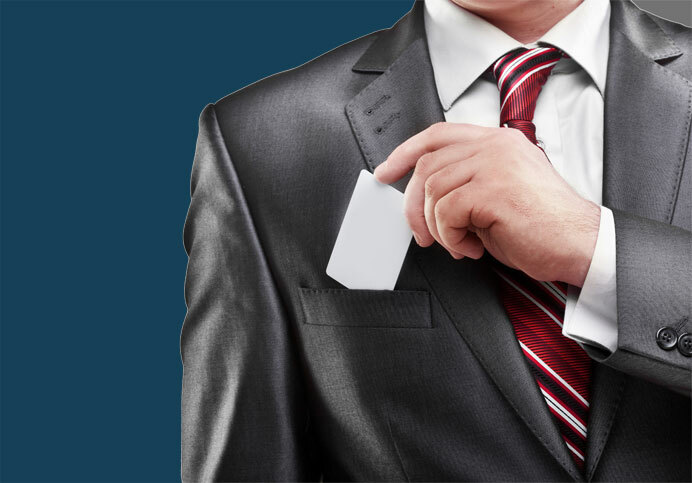 We are constantly investing in research and development in order to provide plenty reliability and value for the small, medium and big companies. All the previously mentioned turns AGMAQ into one of the best developers in the glass market. We offer a wide range of products, mainly automatic vertical and horizontal glass washers, simple and smart storage systems, automatic and manual cutting lines, loaders and drillers. Olimpia Hardware has an extensive range of systems for the tempered glass sector (folding, stacking, sliding), hardware for aluminum in European line and American line, as well as accessories and systems for PVC. Olimpia offers systems that allow the architect to incorporate in their projects, solutions for spaces and enclosures, not only practical and ergonomic, but also modern and elegant. 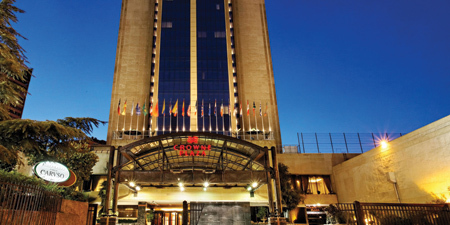 Crowne Plaza Santiago is a five star hotel, located near all of the city’s most popular landmarks and companies, in the heart of the city, convenient access to public transportation, within walking distance to Subway Station, 15 minutes subway ride to Costanera Center Shopping Center. 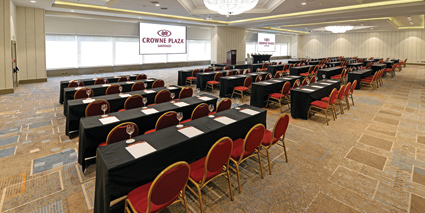 Crowne Plaza Santiago Hotel is located near to the most historical and popular attractions, such as Museum of Fine Arts, Lastarria and Bellavista gastronomic neighborhoods. Climb San Cristobal Hill for sweeping views from the highest point in the city. 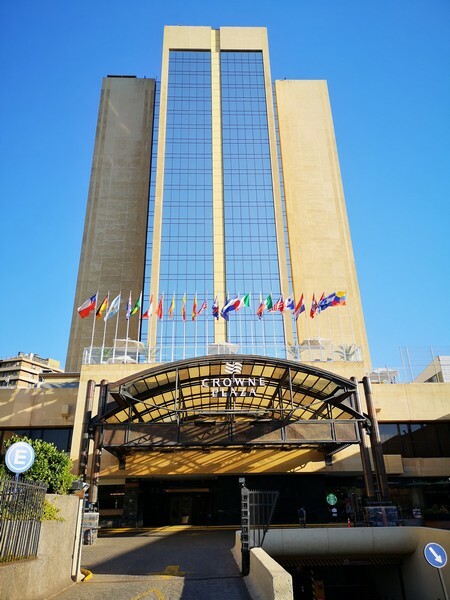 Crowne Plaza Santiago Hotel is the ideal choice for business guests, thanks to guest rooms offering fabulous views of the Andes and the city of Santiago and to its convention centre, which is one of the largest in the area. The first edition of the two-day Chile Glass event dedicated to the glass industry concluded with many regarding it as a success. 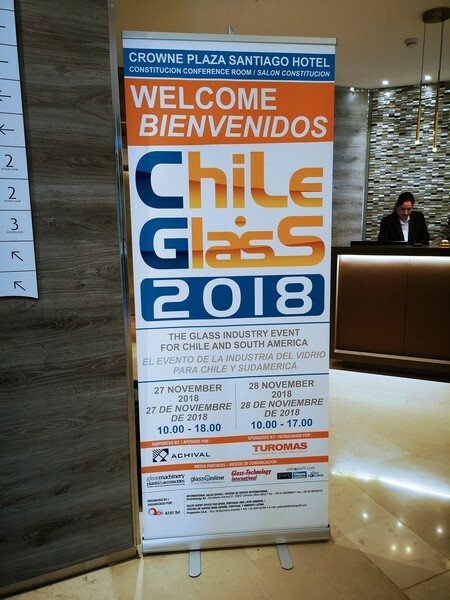 The first event dedicated to the technologies and solutions for glass processing ever held in Chile is taking place today and tomorrow. 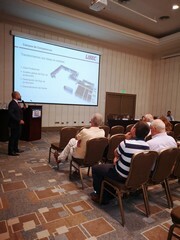 Mappi is attending Chile Glass, a great opportunity to meet its customer needs of South America. In Latin America high-quality tempered glass has been progressively used in these last years and Mappi is one of the best known brands for its products. 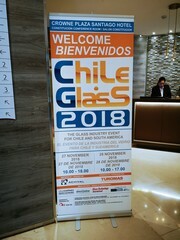 Olimpia Hardware will be exhibiting at Chile Glass, taking place 27-28 November in Santiago De Chile. Chile Glass, taking place in Santiago Del Chile, 27-28 November, will also have A+W among its exhibitors. 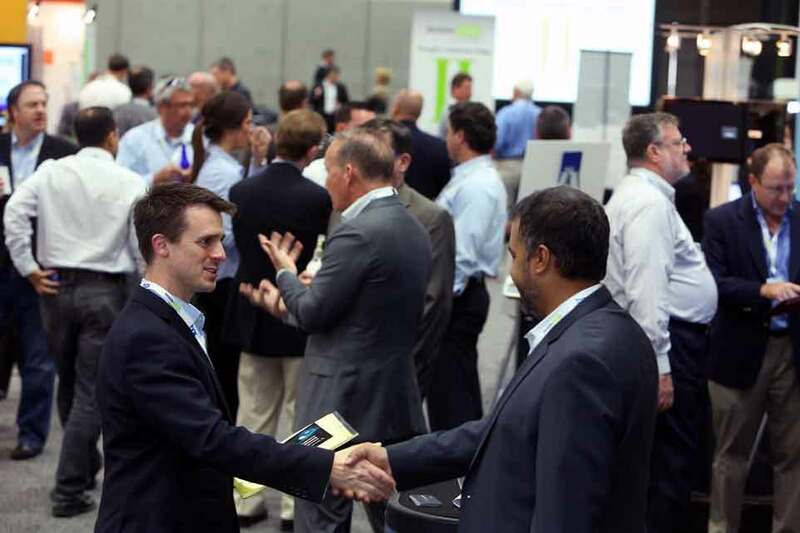 The company will be at the event to show how its software can �help control and optimize the entire value chain�. S.T. 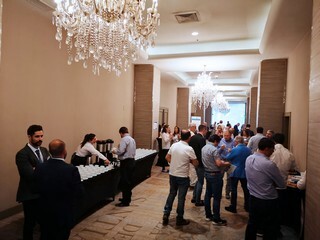 GROUP will be among the exhibitors at the upcoming edition of Chile Glass, to take place 27-28 November 2018, in Santiago De Chile. 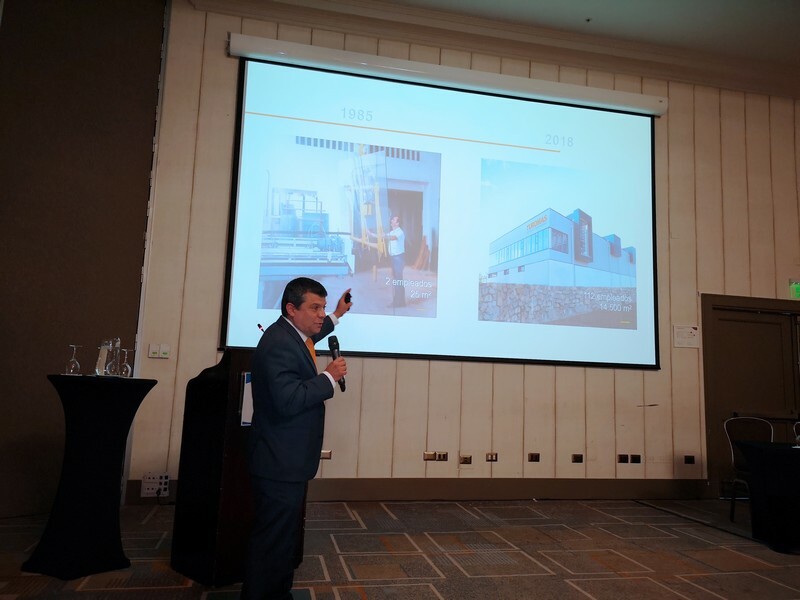 At Chile Glass, visitors will have the chance to see not only flat glass machinery manufacturer Northglass, but also the company that represents it in Latin America and the Caribbean, FDS Glass. 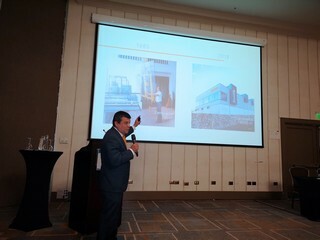 At Chile Glass in Satiago De Chile in November, AGMAQ will be promoting its product range for float glass manufacturers. Chile Glass 2018, taking place 27-28 November 2018, in Santiago De Chile, is continuing to attract exhibitors. Among this year’s companies, Afron, the oldest company in Spain in the leasing and sale of elevated platforms. Industrias Galtés will be present at Chile Glass with its TRIVEL brand of fittings, accessories and systems for all types of facilities for flat glass. Chilenian glassworks Vidrios Lirquén will take part in Chile Glass, the event dedicated to the glass industry in Chile and South America. Hegla will be exhibiting at Chile Glass 2018, 27-28 November 2018, Santiago De Chile, to present its most recent developments in machinery, plants and equipment for flat glass processing and refinement. As part of the TECO Group, Toledo Engineering, Tecoglas, and KTG Systems, are pleased to confirm their participation at Chile Glass 2018. The Italian company will be at Chile Glass in November to promote its high technology numerical control machines for the processing of flat sheet glass. 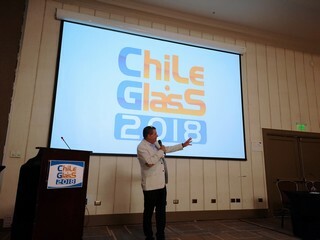 The historical brand of the flat glass industry, will attend CHILE GLASS 2018 in Santiago on 27-28 Nov.
Chile Glass 2018, taking place 27-28 November at Santiago de Chile, will give its exhibitors the chance to explore a new market thanks to business meetings with local professionals. 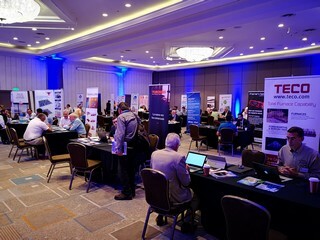 Chile Glass, taking place 27-28 November 2018, in Santiago De Chile, has added InVidrio to its list of exhibitors. 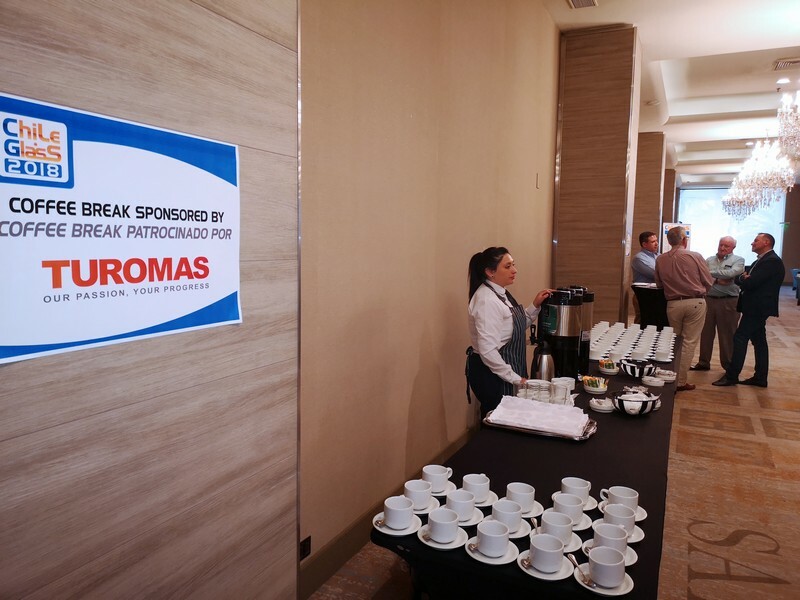 Chile Glass, taking place in Santiago De Chile, 27-28 November 2018 will have Elettromeccanica Bovone as one of its exhibitors. Chile Glass 2018, taking place 27-28 November at Santiago de Chile, will have R.B.M.Italia as an exhibitor at the event. Emmeti will be at Chile Glass 2018, taking place 27-28 November at Santiago de Chile, with its palletizing and depalletizing equipment. 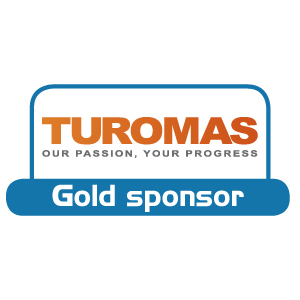 Turomas will be present at Chile Glass, taking place 27-28 November, in Santiago De Chile, with its products focused on the flat glass sector. At this year’s Chile Glass event, to take place 27-28 November 2018, in Santiago De Chile, FeneTech will present the latest release of its software solution 12.0 FenVision MAX ERP for glass fabricators. 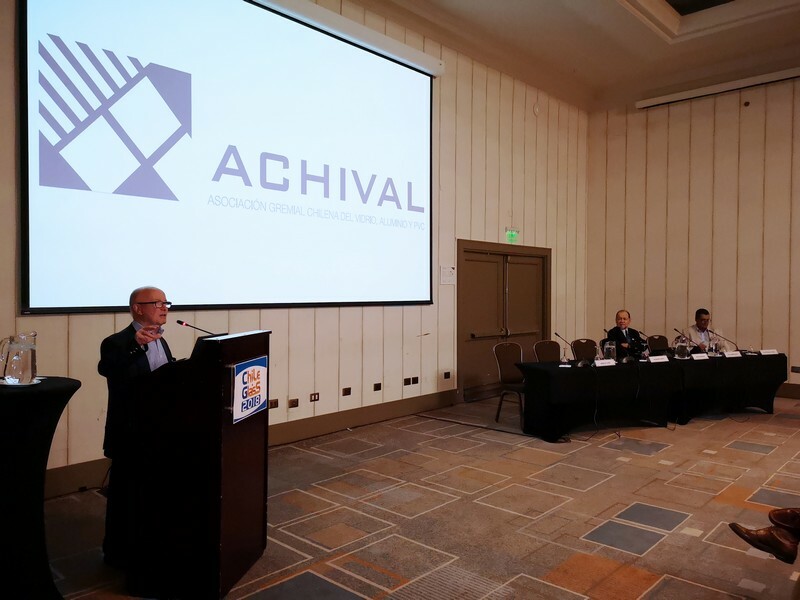 Achival (Chilean Glass Association) is an official partner of Chile Glass 2018, taking place 27-28 November in Santiago De Chile. 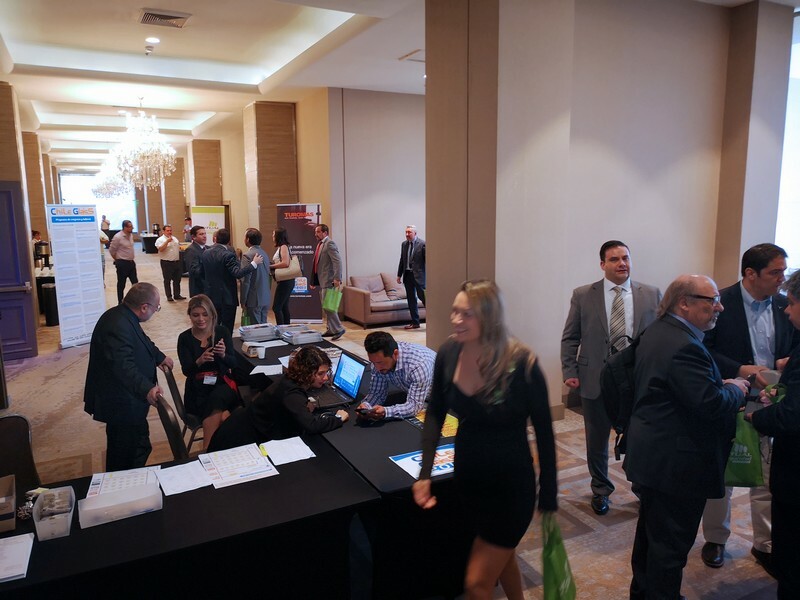 On 27 and 28 November this year, the city of Santiago de Chile will host a new event in South America – Chile Glass.